Mount Everest is well known as being the tallest mountain in the world. But exactly how high is the summit of Everest? Find out all about the world's highest mountain here! The Global Adventure Challenges office will be closed over Easter - check out our opening times here! Our Easter Sale is now live! Save 25% on your registration fee on our 2020 overseas challenges! Keep reading for more information. What Is the Highest Mountain in the UK? Find out what the highest mountains in the UK are and how you can experience them on a fantastic trekking challenge! There are seven routes to the top of Kilimanjaro, each with their own pros and cons. Here is our summary on the different routes to take to reach the summit of the world's highest free standing mountain! Cycling challenges are a fantastic way to experience the beautiful sights of Europe, push yourself outside of your comfort zone as well as raising money for a cause that you’re passionate about. Here’s how you should prepare for a cycle across Europe! What Kit Do You Need to Cycle Across Europe? Europe is the perfect setting for a long-distance bike ride! But what kit do you need to cycle across Europe? Check out our essential kit list here. Team building activities are a great way to boost morale and improve relationships within the workplace! Check out our top corporate team building ideas here! Trekking in the Alps is the perfect way to explore Europe’s highest mountain range. Find out how you can experience the beautiful Mont Blanc region of The Alps on an exciting hiking adventure! We have just reached an amazing 20,000 likes on Facebook! To say a huge THANKYOU we are offering a free place on our London to Paris adventure! Find out more here. Soak up the atmosphere in Plaza de Armas, have a pint in the world's highest Irish owned pub and explore the incredible Machu Picchu! Check out what to see and so in Cusco here! Emma's Vietnam to Cambodia Challenge! Our UK & European Events Officer, Emma, recently took part in one of our most popular challenges – Our Vietnam to Cambodia Cycle! Read her story here. The Sahara is the largest hot desert in the world, located in Northern Africa, and is home to some of the largest dunes in the world. Read our top facts about the incredible Sahara Desert. The Yorkshire Three Peaks is a classic trekking challenge situated in the Yorkshire Dales. Find out how long it takes to complete the Yorkshire Three Peaks Challenge here. How far is it from Land’s End to John O’Groats? Find out how far it is from Land’s End to John O’Groats and get your next challenge underway! Hear all about our Inca Trail Trek from Katy, who recently embarked on this exciting journey to the awe-inspiring Machu Picchu! Elfie our Adventure Elf has been helping us out on the lead up to Christmas, take a look at his adventures here! Achieve something incredible and make 2019 the best year ever! Here are our top five reasons why you should take on a challenge in 2019! Our Final Advent Offer Starts Tomorrow! With the New Year approaching fast, we just wanted to say THANK YOU for helping to make 2018 our biggest and best year yet! The Global Adventure Challenges office will be closed over Christmas - check out our opening times here! Vietnam and Cambodia are two beautiful countries situated in South East Asia. Read our guide to visiting Vietnam and Cambodia, including visa applications, vaccinations and where to visit! Join Us for an Advent-ure in 2019! Have you signed up to a challenge of a lifetime? Read our top 5 fundraising tips to help you on your way to reaching your fundraising target. To celebrate our favourite time of the year, we're holding an Advent flash sale! Treat yourself and tick an adventure off your bucket list. The Great Wall of China is made up of from a series of walls, watchtowers and fortresses, built over hundreds of years. But when exactly was the Great Wall of China built? Our incredible Black Friday sale is now on! We’re offering discounts of up to 50% off registration fees across our 2019 & 2020 adventures* - so there’s never been a better time to sign up! Recently our Charity Account Manager, Dan took on a lifelong dream and trekked to the roof of Africa on our Kilimanjaro trek. Read all about his incredible experience! Kerala is a stunning region in south India. Home to impressive scenery, the world’s highest tea plantations and miles of tranquil backwaters. Here are our top five things to see and do in Kerala. Unite and Bike Against Cancer Returns in 2020! Unite and Bike Against Cancer Returns in 2020, and this time we are heading to stunning Kerala, India! Unite and Bike is a fantastic cycle challenge for the cancer charity of your choice! Exciting New UK Trekking Challenge For 2019! Check out our brand new 2019 UK trekking challenges! From trekking Snowdon at night to conquering the three highest peaks in the Yorkshire Dales, join us on an exciting UK adventure. 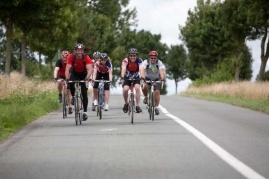 Explore Europe By Bike on a European Cycle Challenge! Join us on a European adventure as we take to the saddle on one of our European cycle challenges! London to Paris Challengers Story! Our London to Paris - Tour de France Finale Challenge is one of our most popular cycling challenges! Read all about the experience of one of our participants here. Are you looking for a new challenge? It’s time to discover your next adventure with Global Adventure Challenges! Find out how to prepare for your Everest Base Camp Trek. Here are our top training and preparation tips for hiking to the foot of the world's highest free standing mountain! Incredible Savings on the Adventure of a Lifetime! We're offering incredible discounts on some of our favourite adventures - check it out! What Can You Do in The Alps? Find out what there is to do in the stunning Alps region – the adventure hub of Europe. From hiking around the Mont Blanc region to visiting stunning alpine lakes and glaciers! TrekFest 2018 was our most successful trekking challenge ever. Find out what our TrekFest conquerors have to say about our ultimate trekking challenge! How Hard Is It to Climb Mount Toubkal? 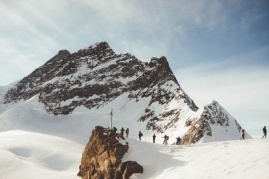 Mount Toubkal, the highest peak in Atlas Mountains, is a popular trekking destination. Find out how hard it is to climb to the roof of North Africa – the perfect trek for your first charity challenge! 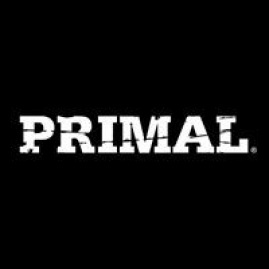 Primal Training Club Join Us To Conquer Kilimanjaro! A big welcome to Primal Training Club, who will be joining us for our Kilimanjaro Trek in October 2019 in support of Rare Studios, a Liverpool-based performing arts school and registered charity! Is hiking to Everest Base Camp or exploring the stunning Annapurna Region of the Himalayas on your Bucket List? It’s time to make your dreams a reality! Why You Should Join Us on Our London to Paris - Tour de France Finale! Our London to Paris - Tour de France Finale is the ultimate cycling adventure. Find out why you should join Global Adventure Challenges in 2019! Where is Everest Base Camp? All Your Base Camp questions answered! Discover everything you need to know about Everest Base Camp - where it's located, how long it takes to trek to and how difficult it really is to reach! Global Adventure Challenges Shortlisted for Cheshire Business Awards 2018! We're excited to be shortlisted for the award for Business of the Year (11 - 50 employees) at the Cheshire Business Awards! How Long Does It Take to Walk Hadrian’s Wall? Discover how you can explore this incredible UNESCO World Heritage Site by foot and discover some of the most dramatic countryside in England! How Long Will It Take to Climb Mount Snowdon? Discover how long it will take you to reach the summit of this iconic mountain and which route you should take on your Snowdon Trek! London to Paris 2018 Reviews! Find out what people are saying about our 2018 London to Paris - Tour de France finale cycle challenge! 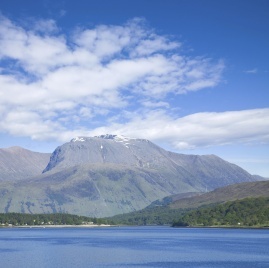 What Do I Need to Climb Ben Nevis? Find out exactly what you need to take with you on your Ben Nevis Trek! Famous for its unpredictable weather - Make sure you are fully prepared before you climb the UK’s highest mountain. To celebrate National Park Week we are taking a look at our UK charity challenges that explore our stunning National Parks. Find out all about our London to Paris Bike Ride route, as we cycle from capital to capital on this fantastic charity challenge! We are getting into the football spirit here at Global Adventure Challenges – and we have a fantastic offer to celebrate! What Is the Highest Peak in The Lake District? Discover everything you need to know about the highest peak in the Lake District - One of the UK's most beautiful National Parks! Discover the top things to see and do in Vietnam and Cambodia. From ancient temples, vibrant cities and sacred mountains – explore two of the most fascinating and friendly countries in South East Asia! The Three Peaks Challenge is an exciting UK trekking challenge, with an aim to summit the highest peaks in Scotland, England and Wales. Find out exactly what the challenge involves here. Due to maintenance work, our phone and email systems may be disrupted during the week commencing 11 June 2018. How Long Does It Take to Trek the Great Wall of China? Discover how you can explore this fantastic man-made structure as you trek the Great Wall of China! Celebrate National Walking Month and take on one of our epic trekking challenges! 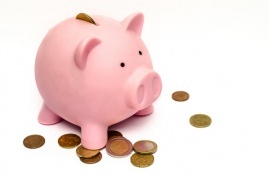 Did you know you can split the cost of your challenge registration fee? Make your adventure of a lifetime that little bit easier by splitting your challenge registration fee over two months! Looking for some inspiration? Here are ten of our favourite charity challenges! We are looking for a dedicated Charity Account Manager to join our award winning team! Hear all about our Training Weekends! Interested in our Training Weekends? Check out what our challengers have to say! Top 5 Tips for Making the Most Out of TrekFest 2018! Signed up to TrekFest? Find out how to make the most of this awesome challenge! If you’ve decided to undertake a charity challenge abroad then, after you’ve trained your socks off, you’ll need to pack them. 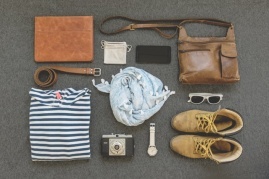 Thankfully, we’ve had a lot of experience about what to pack and what to leave at home! Here's our top five reasons taking on a charity challenge should be on your bucket list! Set Yourself a New Challenge in 2018! Give yourself a fresh challenge in 2018 - here are a few ideas for how to go about it! Five Reasons to Make 2018 Your Year of Adventure! Setting your New Years Resolutions? Here's why we think adventure should be top of your list! Adventure at your side from London to Paris! Find out about the awesome support that matches our incredible London to Paris Tour de France challenge! With so many exciting destinations on our doorstep just waiting to be discovered, why not sign up for a UK challenge? Spring Sale Now On - 20% Off Your Adventure of a Lifetime! TrekFest Early Bird Offer Ending Soon! Signed up for a challenge and not sure what to eat or drink during training? 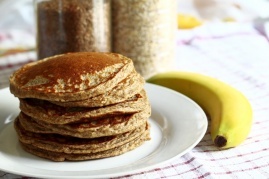 Here's a few of our favourite adventure fuels! Fundraising for a cause you're passionate about? Check out our top tips! Explore North America in 2018! Register for TrekFest this February, and get a FREE Neck Tube! Sign up for our TrekFest challenge, and you’ll be trekking the Peaks in style! Check out our Advent-ure Offer! A flash sale, to celebrate our favourite time of the year! Join us for a European Adventure! Looking to explore further afield than the UK, but limited on time? We can help! 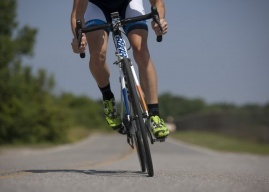 Taking on a cycling challenge for charity can initially seem like a convenient way of getting yourself fit while raising money for a good cause - but it's crucial to check that your body is suitably prepared! The reviews are in for our London to Paris cycle! 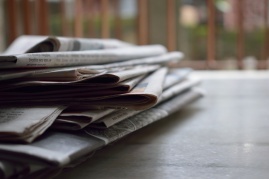 Planning a charity challenge but unsure where to start with promotion? Here's our top tips for making the event a success! How much do you know about Hadrian's Wall? We're exploring the history of this ancient Roman wall - from when it was first built, to the present day! Our awesome Black Friday Sale is now on - Save 50% off on Open Challenge Registration Fees! Trek training: how to get fit before your trek! Planning a trekking challenge? Here's our top tips on getting trek-fit! Considering a Great Wall trek? Here's five facts you may not know! Curious about the Great Wall of China? Here's five facts you may not know! TrekFest - The Peaks is back for 2018! Back for its sixth year, TrekFest - The Peaks 2018 is live! Here's our top 5 reasons you should sign up. The GAC team have been hard at work finalising new challenge itineraries! Check out our exciting new destinations for 2018 here. Conquer Three Peaks in one incredible challenge! Looking for a trekking challenge closer to home? Take on the highest peaks in Scotland, England and Wales! If you're considering conquering a climbing challenge, here are our top tips for a successful trek! Mt Kilimanjaro is one of the toughest treks out there - but with training and our exceptional support, you’ll have the perfect platform for success! Read our round up of the highlights from this year's TrekFest - The Beacons, the UK's ultimate trekking challenge! Our fantastic summer sale is now launched folks – now is a better time then ever to get signed up to a challenge of a lifetime with us!